The Riviera may send your mind whirling back to the scenic coastline of the south of France, but you haven’t quite seen it all. 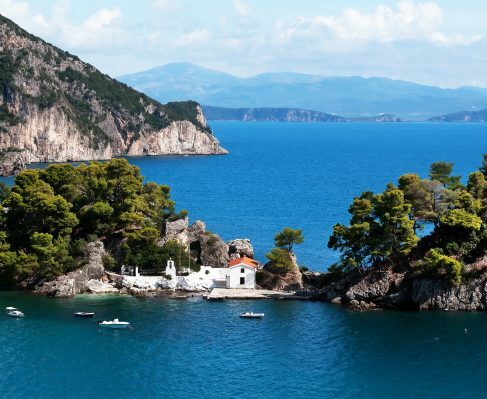 Italy’s crescent shaped sliver of coast will transport you into an entirely different world. 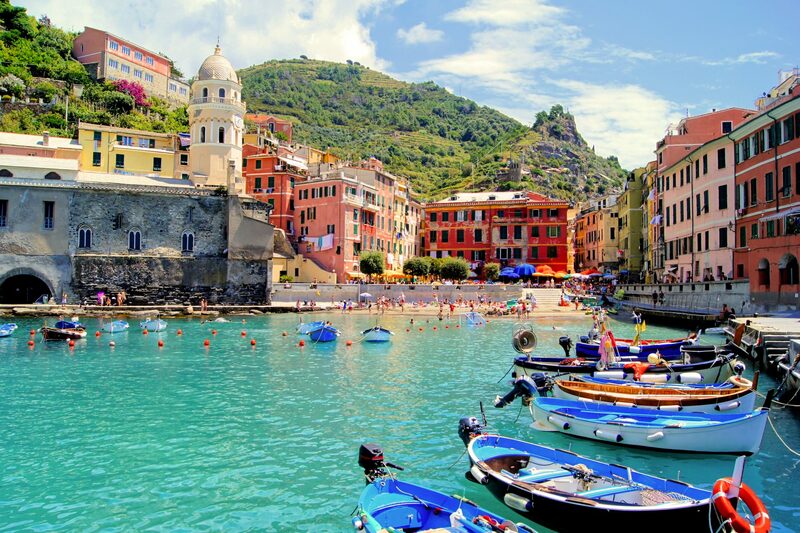 The Italian Riviera is exquisitely unique; humbled by charming coastal towns and lush, mountainous coasts that meets the rolling Ligurian Sea. Bright waters are dotted with sailboats and yachts, so what better way to immerse yourself in Italy’s sickle-shaped gem than with a luxury yacht charter of your own? Our yachts will guide you through pastel painted towns beneath the warming Mediterranean sun. Follow the coast from town to town and become absorbed in Italy’s most iconic historical sites, most tantalizing foods, and extraordinary views where stony cliffs meet tame, blue waters. Genoa steals the spotlight as the central city of the Italian Riviera. It’s a busy place—twelfth busiest in the European Union, in fact—but it’s also a proud one. The city’s nickname is la Superba, a literal translation of its pride, in tribute to a glorious past with victories translated to the city’s plentiful, impressive landmarks. Artistic movements were born here. Famous painters, sculptors, and architects studied and left their mark in Genoa, as made evident in the Genoa Cathedral, the Church of San Donato, the Church of Santa Maria Assunta, Palazzo Bianco, Palazzo Rosso, Palazzo Spinola di Pellicceria, Monumental Cemetery of Staglieno, and Palazzo Reale. But Genoa’s roots in art didn’t stop here. The city has history in music, and its affinity for its composition is demonstrated through the many music festivals. Like concerts at San Fruttuoso abbey, Premio Paganini, International Music Festival Genova, We Love Jazz, and Goa-Boa Festival. Genoa art spills into the world of cinema, where hundreds of movies have been filmed. You might find yourself lingering in this city to catch all of its sites: Doge’s Palace, the ancient seat of government, Palace of Saint George, Genoa’s narrow alleyways called caruggi, Belvedere Castelletto, the Lanterna, the seaside district of Bocadasse, the Royal Palace of Genoa—and that’s just skimming the top of Genoa’s overflowing collection of impactful landmarks. If you manage to pull yourself away from Genoa’s imposing reputation, travel to Portofino, a comune within Genoa, but strikingly different. The fishing village is known for its harbor, filled with perfect blue waters and lined with vibrantly painted buildings that overlook the shore. Here resides Christ of the Abyss, the Church of St. Martin and the Church of St. George, both displaying architectural intrigue. And the house museum, Castello Brown. Bordighera is another notably famed comune in the Province of Imperia, just a mere twelve miles from France. Visit Casa Coraggio, once home to famed writers George MacDonald and Edmondo De Amicis. Visit the International Civic Library, the eye-catching Villa Etelinda, the museum site of Villa Margherita, the Bicknell Museum, and the stone-white Town Hall of Bordighera. Lerici awaits; a comune in the province of La Spezia where Frankenstein author Mary Shelley once lived, situated on the coast of the Gulf, with gorgeous views made complete by its renowned castle. 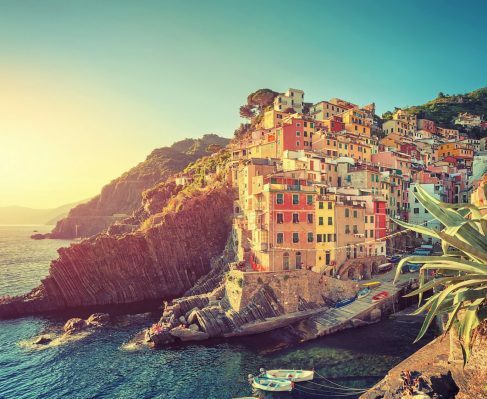 Let Cinque Terre draw you in for a bit of a scenic change, as it offers its rugged coastline just wet of La Spezia. 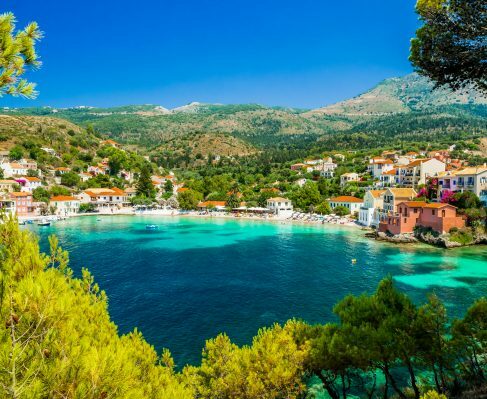 Here, you can catch a ferry to villages, step foot on the Azure Trail, a challenging walking trail that rewards you with the stunning waterfront, all while enjoying the town’s plethora of Mediterranean foods like pesto, focaccia, farinata, gelato, and of course, a glass of the region’s wine. And you’ll discover in Riomaggiore, a town established centuries ago, some of the Riviera’s finest wine. The town is shaped by tower houses, a wharf, and a beach; the smallest southern village of the five Cinque Terre. It’s too beautiful to miss—even the water and mountainside have been declared national parks. La Spezia, the second largest in the Liguria region just after Genoa, has much to do. The city falls between Genoa and Pisa and is bursting full of museums, culture, some of the finest foods, castles, and churches, with a blend of both old and new. Stop at one of its many museums: the Civic Museum in the Castle of San Giorgio, Amedeo Lia Museum, Palazzina delle Arti and Museum of Seals, Museum of Modern and Contemporary Art, the Diocesan Museum, the Technical Naval Musem, and the Ethnographic Civic Museum. The city has an abundance of churches: Cristo Re dei Secoli, the modern cathedral, Santi Giovanni e Agostino, and Nostra Signora della Scorza. The charm of the Italian Riviera is in its small towns like San Remo, a mid-19th century resort stop with an onion-domed church that brings visitors to its well-known, century-old casino. Visit Ventimiglia, where old meets new with 10th-century churches, Hanbury Botanical Gardens, and hiking trails aplenty. In the small town of Portofino, where there’s only five hundred permanent residents, you’ll find a waterfront piazza, sunset cruises, a luxury hotel with a past lifetime as a Benedictine monastery, and nearby accommodations for the most super of superyachts. In Alassio is a secret town with a long stretch of prime beach, where a 13th-century church is perched above overlooking the blue-green sea. Torrione Tower, the village’s oldest building, still stands. It once served the town by protecting its fisherman from pirates in the 16th century. Over in Cogoleto, tucked in the Metropolitan City of Genoa, is the 13th-century masterpiece, the Oratory of St. Lawrence, and the striking grounds of Orto Botanico di Villa Beuca, a botanical garden. Cogoleto is also the birthplace of Christopher Columbus. Each town that dots the coastline of the Italian Riviera is a reason to visit it. Dramatic cliffs, tapering to sandy beaches, with colored towns stacked on its stony bluffs, there’s nothing quite like the Italian Riviera. Along its strip, Mediterranean foods fuse with Italian influences for riveting combinations. The atmosphere is the perfect recipe for olives, oils, cheese, and the grapes that transform into the best wines.